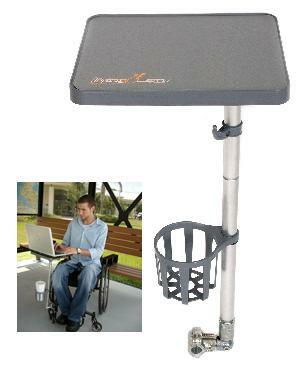 A wheelchair has a frame with rails and wheels. An accessory is adapted to be removably coupled to a rail. The accessory has a short downwardly extending cylindrical projection. A coupling assembly extends between the accessory and the frame. The coupling assembly includes a bottom subassembly. The bottom subassembly is adapted to encompass a rail. The rail has a vertically extending lower component. The lower component has a cylindrical vertical recess. The coupling assembly also includes an extension subassembly. The extension subassembly is provided between the bottom subassembly and the accessory. A supplemental cylindrical recess is provided in the accessory above its projection. The recess is adapted to receive a supplemental component. 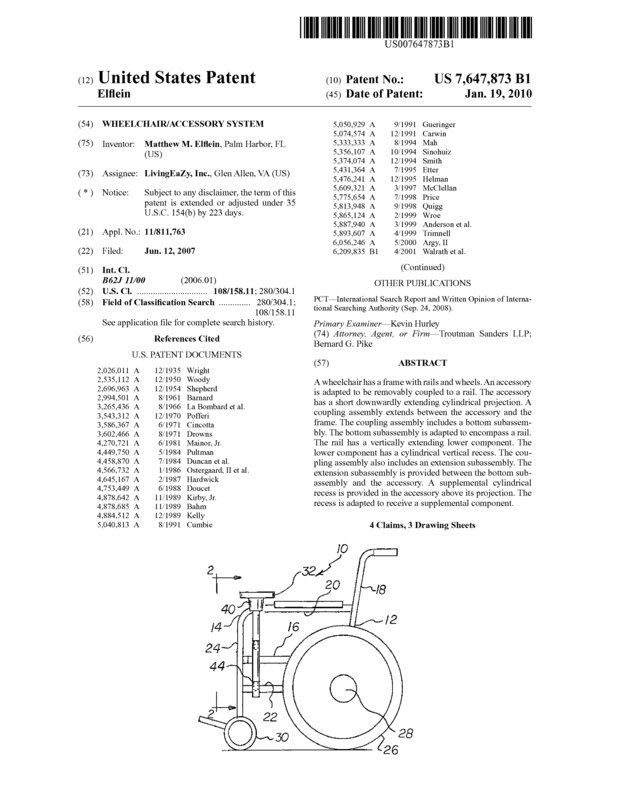 Page created at 2019-04-26 5:57:50, Patent Auction Time.